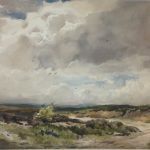 Landscape painter in Oil and Watercolour. Wycliffe Egginton was born in Birmingham 1875 Works by Egginton were exhibited at the Royal Academy, Royal Institute, Paris Salon, and in the Provinces. 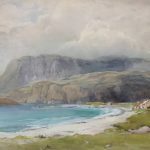 In 1913 he was elected R.I. His paintings are represented in several public collections and one-man shows at The Fine Art Society. 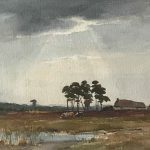 He was the father of Frank J. Egginton also a highly talented and collected artist, and grandfather of Robert Egginton also an accomplished artist.